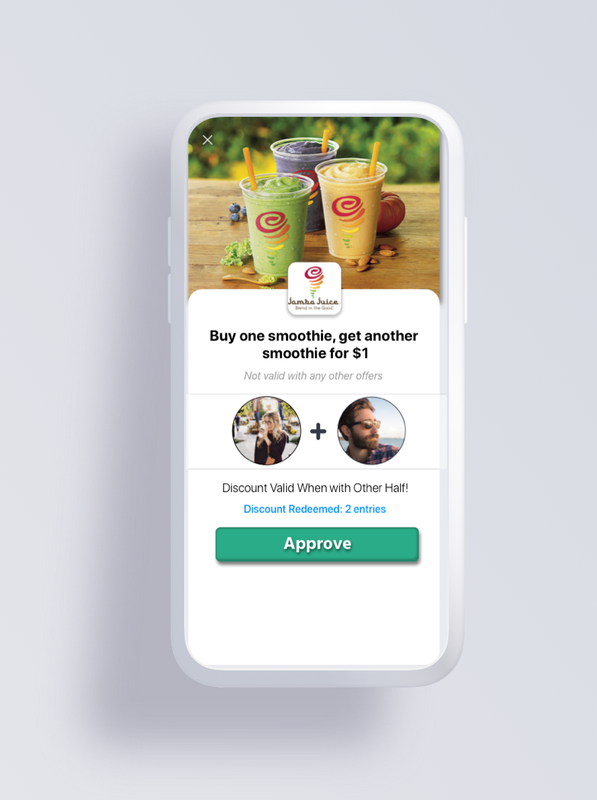 Other Half creates unique offers for every location and what their needs are. We are focused on bringing you new customers and growing your brand. Other Half allows users to be social with their friends not just online but in real life. Other Half encourages users to go on dates, do activities with friends or family, try new things instead of sitting on their phone at home. 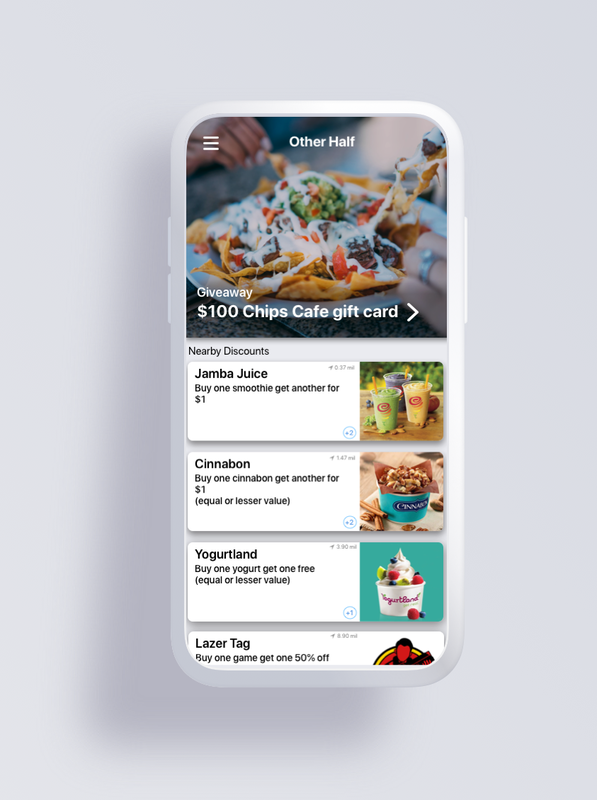 Other Half supplies their users with discounts from many top restaurants or entertainment places nearby them. Other Half offers discounts to many top restaurants, businesses, or entertainment places nearby their users. Other Half builds great discount packages that benefit our users and the local businesses offering the deal. The discount is only valid if you and a friend are together in the same location. You need your ‘Other Half’ to have a valid discount, thus meaning every single discount is only accessible when our users are together. Once you are in the location with your ‘Other Half’ the discount will be synced to your phone. Simply show the cashier one of your devices and redeem your discount! All discounts are redeemable again after 24 hours of your last use. Other Half is benefiting businesses from all over, reach out to our team today and learn more about how you can grow your business alongside us.